Homemade applesauce is out-of-this-world good and ridiculously easy to make. 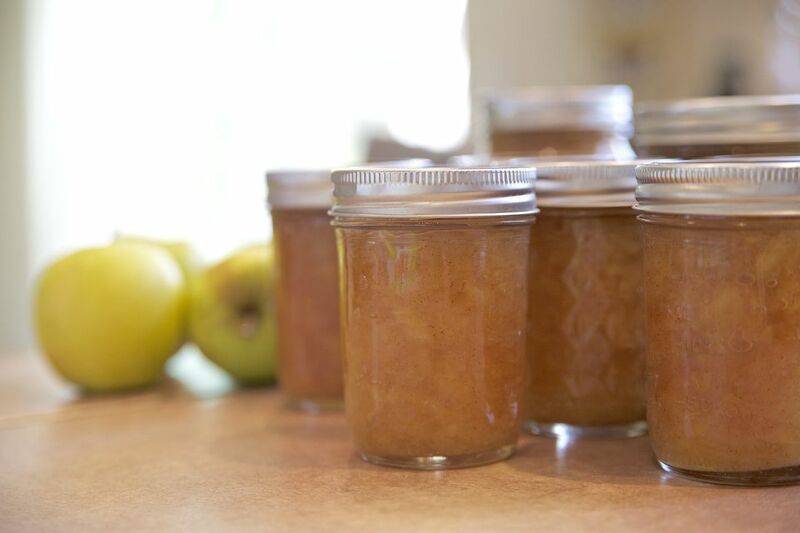 If you know how to peel an apple and turn on the stove, you can make applesauce. Seriously, it's that easy. Just follow these simple instructions to make your first batch. 1. Place the apples in a large pot, and cover halfway with water. 2. Bring the pot to a boil; then, reduce the heat and simmer for 20 minutes, stirring frequently. 3. If you prefer chunky applesauce, use a potato masher to mash the apples to your desired consistency. If you prefer perfectly smooth sauce, run them through a food mill, blender or food processor. I like to use an immersion blender to blend my sauce because I can do all the work in the pot. 4. Add the lemon juice and any sugar or cinnamon that you wish to include. Taste test and make further adjustments, until you're pleased with the results. Ladle the applesauce into hot, sterilized jars, leaving half an inch of headspace. Then, run a spatula or bubble remover tool around the inside edge of the jar to remove any air bubbles. Wipe the rims clean; top with a boiled lid; secure the band, and process in a boiling water bath – 15 minutes for pints, 20 minutes for quarts. Place the jars on a towel, and allow them to cool overnight. Then, test the jars for a good seal in the morning (press down on the lid; and if the lid doesn't pop back, the jar is sealed). Refrigerate any jars that did not seal properly. Ladle the applesauce into clean, freezer jars, leaving half an inch of headspace in pint jars and one inch of headspace in quart jars. Seal the jars, and allow them to cool completely before freezing. Yield: Expect to get one quart of applesauce out of every eight medium apples used. Processing times vary by altitude. Check with your local extension office for times specific to your area, or refer to the National Center for Home Food Preservation for altitude-specific guidelines. For the best flavor, use more than one apple variety, and avoid sour apples like Granny Smith. Try substituting the water in the recipe with apple juice or cider for a richer taste. Applesauce can be used as a healthy substitute for the oil in cakes, muffins, and cookies. Applesauce can also be used in place of the pumpkin or zucchini called for in bread recipes.